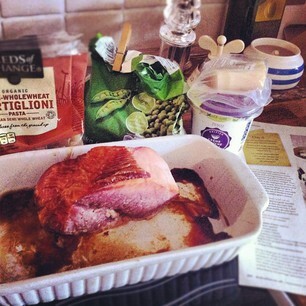 With this weather, it's tricky thinking of food to cook which feels summery but will warm you up on a cold day. 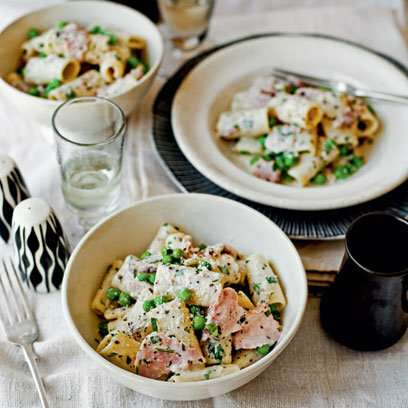 These two pasta recipes are coming up trumps for us at the moment. 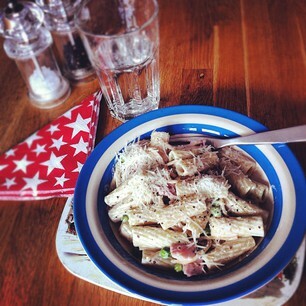 The first recipe can be found online from Red Magazine - I always try to use wholewheat pasta, and so for this recipe used Seeds of Change semi-wholewheat Tortiglioni, available from Waitrose. There are so many versions of this Orecchiette con broccoli recipe online, but the best one I've found is the one which came in the freebie with The Telegraph recently, called Carluccio's Perfect Italian Cooking. I can't find this exact recipe online, so I've copied it out below. This recipe is also good, with the addition of lemon and parmesan, but the method is a bit fiddly, so I just add these ingredients to the Carluccio version below. Add your pasta to a large pan of boiling salted water and cook for 6 - 7 minutes. Add the broccoli and continue to cook until the pasta is tender, another 5 minutes or so. 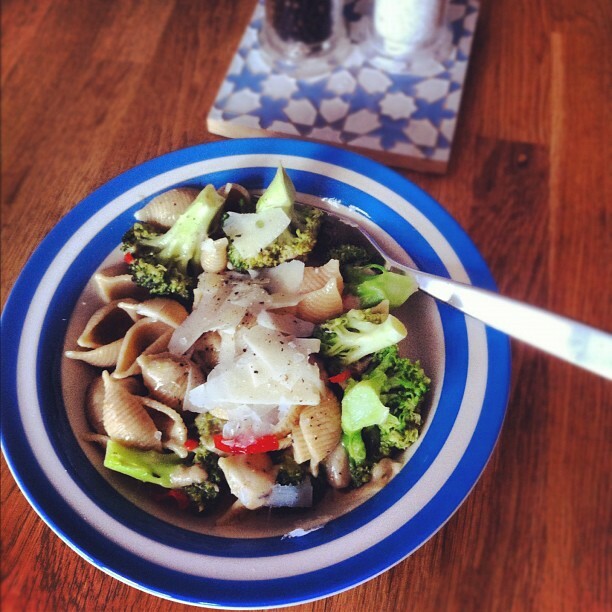 Drain the pasta and vegetables and toss with garlic, chilli and anchovy mixture. Taste for seasoning and serve. I know this recipe doesn't call for it, but I always add parmesan at the end. *I find that I need to leave the pan on a very low heat for the anchovies to dissolve completely. Also, Popeye hates anchovies, but loves this recipe - they just dissolve into the oil, so you don't even know you're eating them.